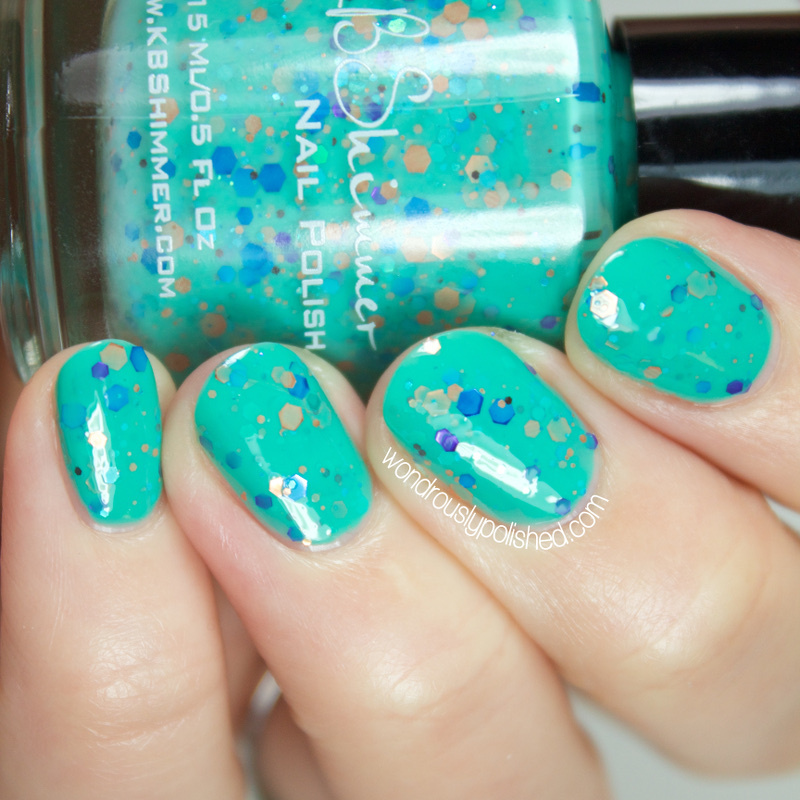 Funky Cold Patina is a bright teal crelly packed with copper, blue and purple hex glitters. I seriously love this one. I swatched this first and did not want to take it off. The color combo is one of my favorites (meant to and the formula was perfection - super smooth application despite all those glitters. Shown is 3 easy coats, though you could probably get away with 2. To Peach His Own is a pale peach crelly with tons of green, pink, purple and orange glitters that scream "spring" to me. I love this one! The formula was similar to Funky Cold Patina and really easy to work with. This one was a bit more sheer though and needed 4 thin coats to hide visible nail line. I'm so Sweet Pea is a soft lavender crelly full of purple, pink, teal and mint hex glitters of various sizes. Again, completely in love with this color palette. This one is very sheer and needed 4 coats to hide my visible nail line, but because this polish is relatively thin, the 4 coats did not feel like 4. 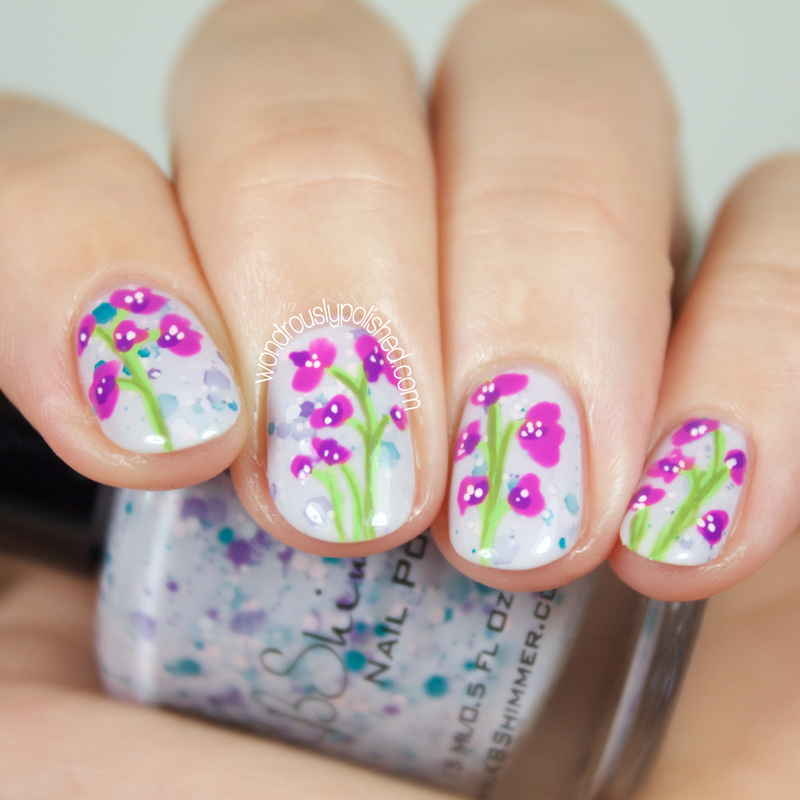 The name of this polish stuck with me and I ended up painting some sweet pea flowers over this one. I love these! 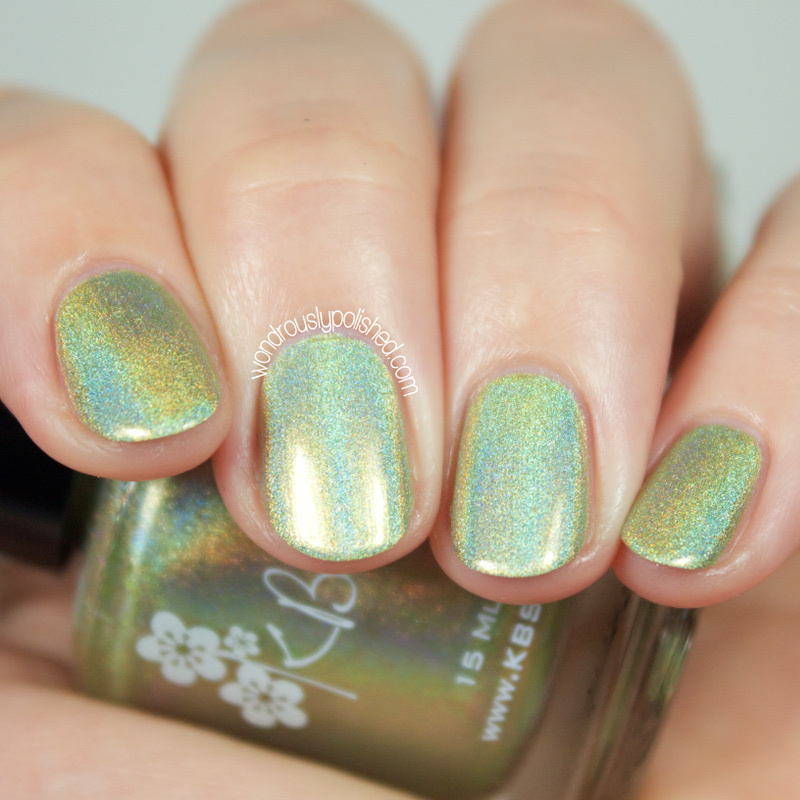 Ins and Sprouts is the first holo I've got share and it's one of KBShimmer's ultra linear holo polishes. This is a nice celery green, perfect for spring time, but could also fit into other seasons with ease. The formula was nice (as is usual) and shown is 3 coats. 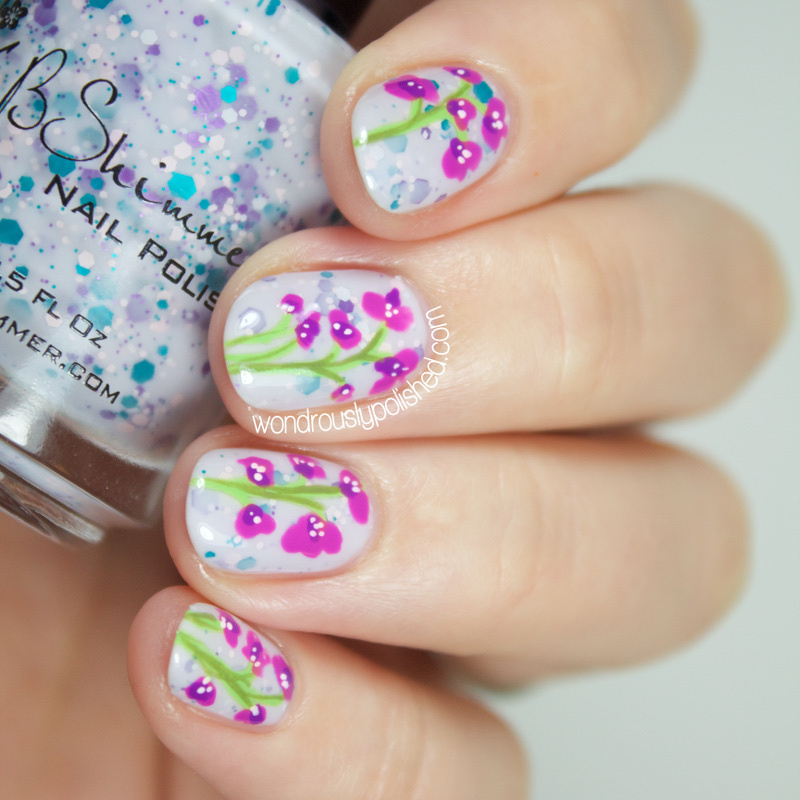 Thistle Be the Day is another ultra holo, this time in a light purple hue. The color doesn't feel overly unique to me, but if you don't have a shade like it in your collection, you can't beat the great formula and super holo-y goodness of this one. Shown is 3 coats. Blush Money is inspired by one of Pantone's colors for the year, Strawberry Ice. It's a rose colored creme with subtle gold shimmer and a slight linear holo undertone. It's quite pretty, and that's coming from someone that doesn't wear pink polishes. Shown is 3 easy coats. Finally, we have Eyes White Open, a pure white creme that has a PHENOMENAL formula. I'm seriously in love. I'm always in search of a great white (as I use it so much in nail art) so I'm very excited that this polish exists. 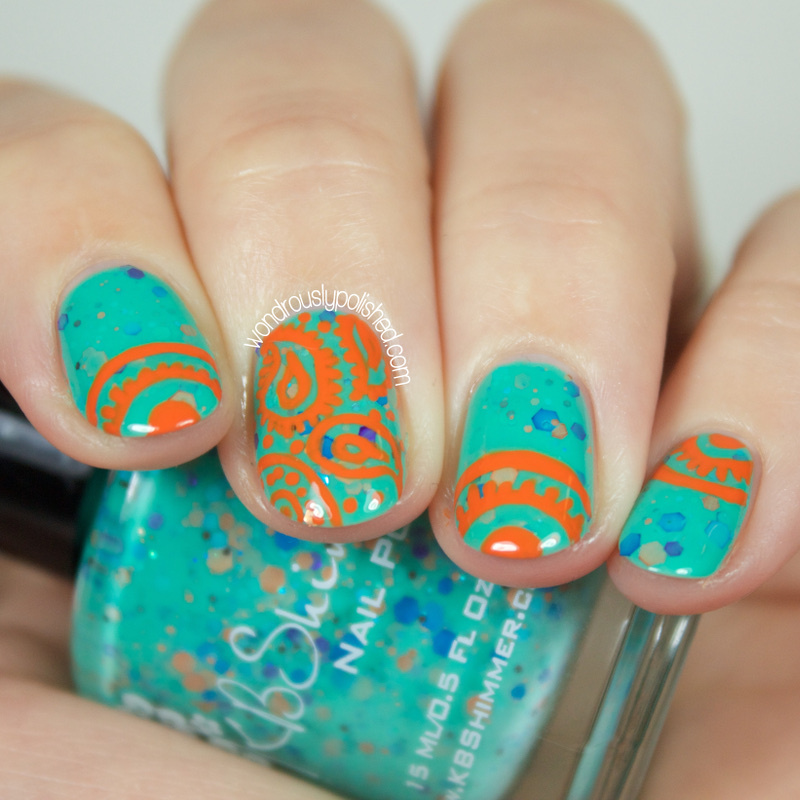 Overall, I really like these polishes. 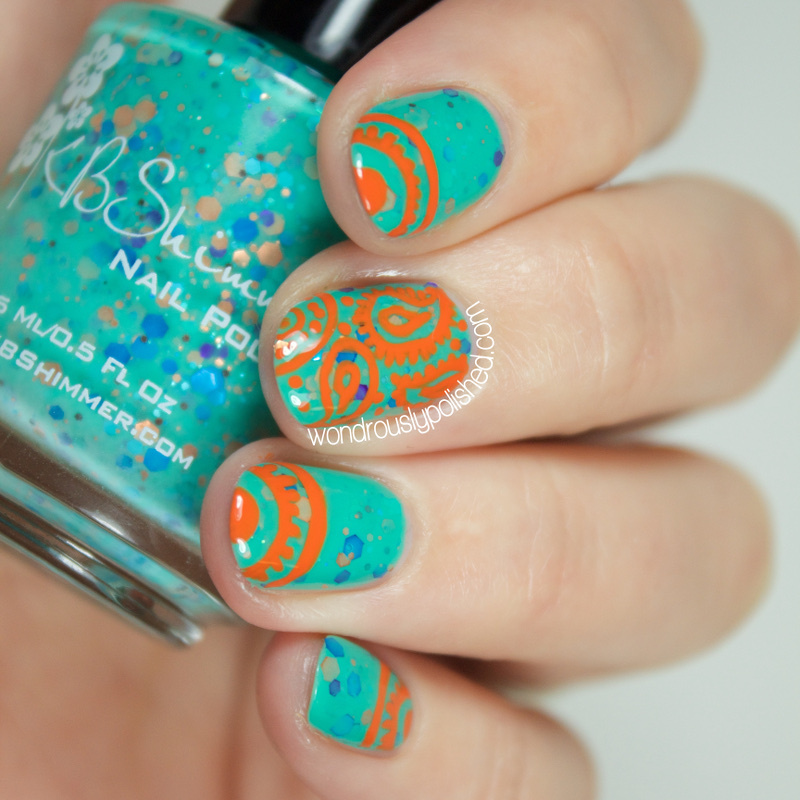 Some were on the sheer side, but I'm just obsessed with KBShimmer's crellies so I can't complain too much. 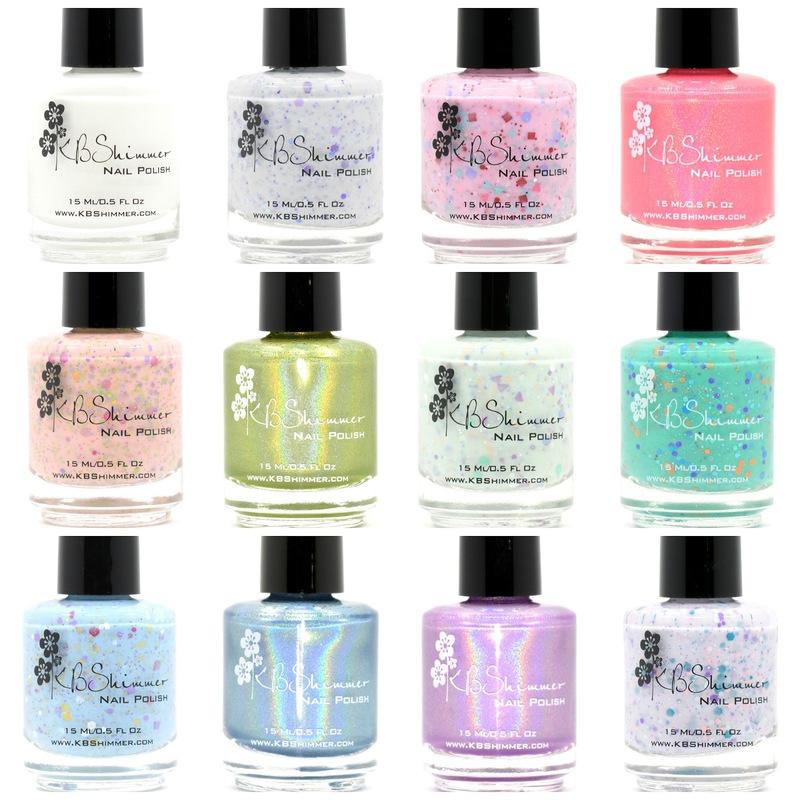 These will be available beginning February 6th from the KBShimmer site and be sure to follow them on Facebook and Instagram to stay up to date with the latest collections and promotions. 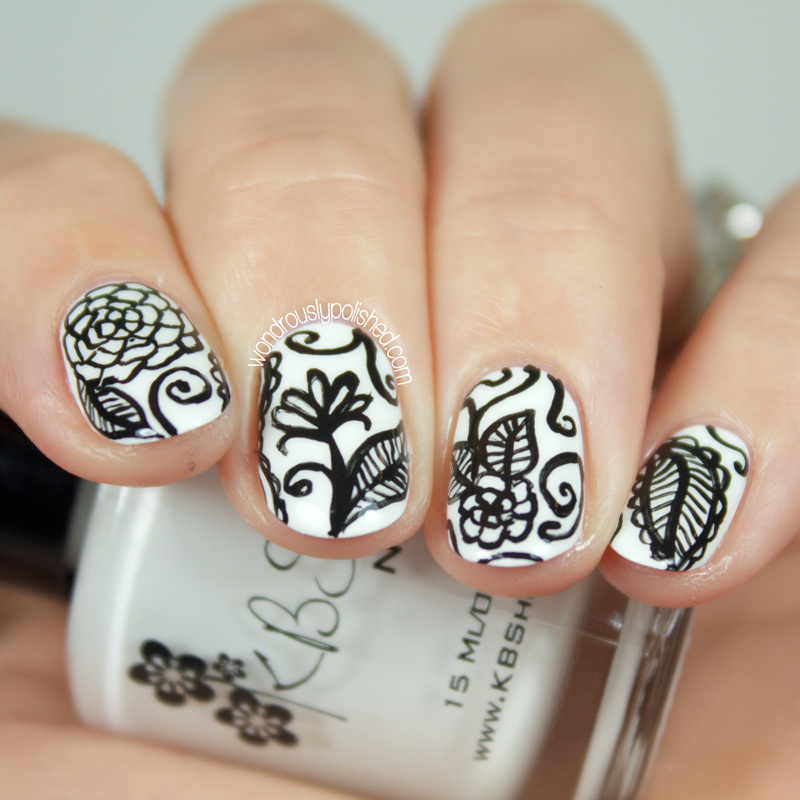 Also available on the 6th are 3 new super cute nail vinyls (I'll have one to show you soon!) 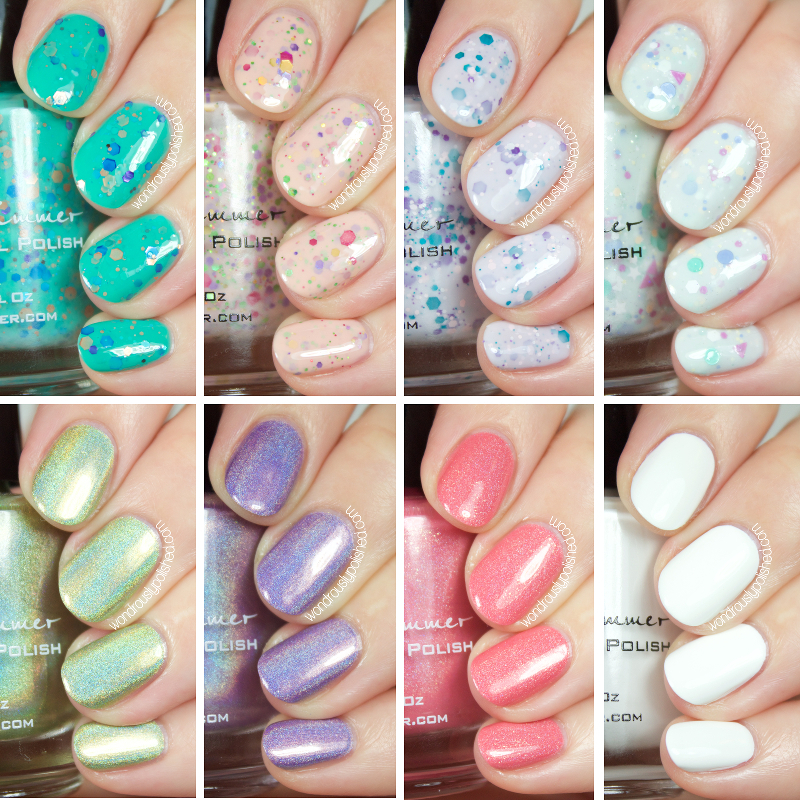 and if you're curious, check out the full press release photo below or head over to The Nail Polish Challenge to see her awesome swatches of the entire collection!